Over on the east side of Toledo Ohio, at Oak and Front Street stood the building that once housed the Home Brewing Company which later was taken over by the Koerber Brewing Company, makers of the "beer with the clean taste." These building were destroyed by fire in 1954,some five years after Koerber stopped making beer there. The last bit of Koerber’s history went under the wrecking ball in November of 1954, battering down the walls of the fire-damaged structure. A True piece of Toledo history is gone forever. Our thanks go out to Joan Koerber-Walker granddaughter of William G. Koerber president of Koerbers Brewery for the photo and this great story. As you can see from the photo , William G. Koerber had a very close resemblance to another well know figure of that era – Al Capone. The resemblance was so strong that at a Brew Masters Convention in Atlantic City, Bill and some other prominent Brew Masters – who shall remain nameless – dressed up like Al Capone and his gang and went strolling down the boardwalk. Soon they were getting attention and a rookie police officer arrested “Al” and his gang and brought them all down town. The Chief of Police was called in to the operation – by now late in the evening. He recognized that this was not Public Enemy Number One. 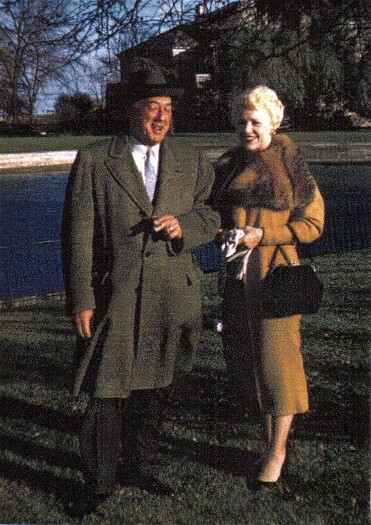 Grandpa may have been a ringer for Capone but the gang was not even close. The Chief called the hotel and had their wives come and get them. Our “gang” of brew masters enjoyed it so much they had to do it again the next year. And – YES – they got hauled in again! They thought it was a riot. The Chief and their wives did not. AND that was the end of that! One of the few advertising sign used during Koerber's days in Toledo. 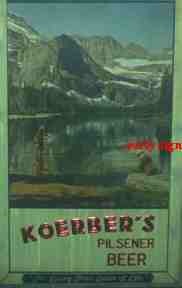 A rare label from Koerber's. A crown from a bottle of Koerber's beer. 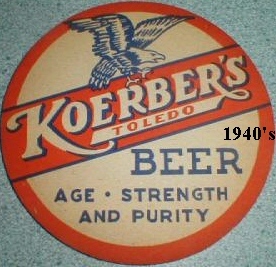 The Koerber's brewery company closed its doors in 1949. 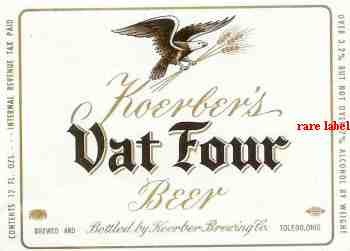 At that time the payroll declined from 130 employees to 40. during its hayday the brewery had an annual capacity of 140,000 barrels.With the closing of the Koerber plant it leaves only the Buckeye Brewing Co. The Koerber family held an extensive interest in a brewery at Port Huron, Michigan which manufactures Friar Ale. William Koerber Sr. headed the brewery from 1933 till 1949. 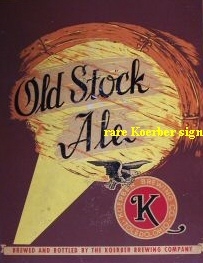 An early rare sign from Koerber's Brewery. Koerber's one and only beer coaster. 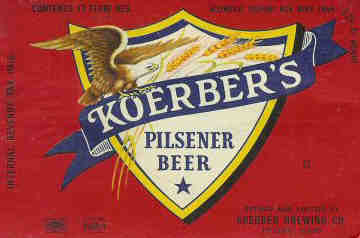 One of the many labeled bottles that Koerber's produced. 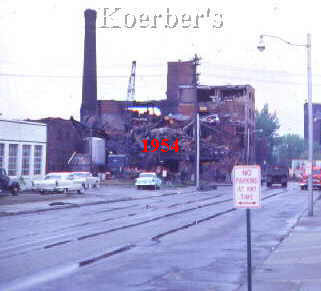 If you have any old photo, newspaper clipping or just some memories of the Koerber's Brewery.... email me so we can ad them to this site or the upcoming book. Credit for the find will be given to you.